George Wickes had a price on his head. It was 1945 in Saigon, and Wickes had been there for four months, talking to French and Vietnamese people and gathering intelligence—some of it from leaders of the Vietnamese independence movement. Wickes, who ended up as a longtime English professor at Oregon, was on a mission with the Office of Strategic Services (OSS), precursor to the CIA. “Well, yes, you could say I was a spy!” declares Wickes, not denying the charge. Because of his linguistic ability, the Army had sent Wickes to the University of California at Berkeley in 1943 to study Vietnamese. While there, he passed a barrage of cryptology tests, which led to his being recruited by the OSS, trained as a cryptographer at their headquarters in Washington, DC, and sent overseas to Southeast Asia. Seventy-one years later, it was Wickes’ involvement, and the fact that he is one of possibly two surviving members of the OSS mission, that caught the attention of producers Ken Burns and Lynn Novick when they were researching their 10-part, 18-hour documentary The Vietnam War, which premiered on PBS in September. Wickes is featured in the first episode, which documents OSS coverage of the early stages of the Vietnamese independence movement. He went to Saigon initially as a cryptographer, coding and decoding messages, but eventually began to collect information about current events in Saigon. In 1945, Wickes’ close association to Dewey put him at risk of assassination. Both might have been intended targets of the French, because both had held clandestine meetings with Vietnamese leaders of the independence movement, which the French were attempting to suppress. Tragically, Dewey was assassinated, but not by the French. He was mistaken for a French officer and killed by Vietnamese guerillas at a road block near the OSS residence on the day he was supposed to fly home. He was the first American soldier to be killed in Vietnam. Wickes, who admired his commanding officer and found him a good friend, was charged with “the rather gruesome job” of searching for his body, but it was never found. Months later Wickes and another member of the Saigon team proposed a mission to Hanoi to interview Ho Chi Minh, ostensibly to ask if he was a communist. An earlier OSS mission to Hanoi had been recalled, and there was no American representative in Hanoi. Wickes surmises that OSS and presumably the State Department authorized the mission because they wanted to find out more about what was going on in Northern Vietnam. To Wickes’ surprise, the interview was conducted in English; Ho Chi Minh had spent time as a young man working in restaurants in Boston and New York. He described his respect for the principles of the Declaration of Independence. Instead, Wickes went to graduate school on the GI Bill in 1946, earning a master’s degree at Columbia University and a PhD at the University of California, Berkeley. He taught for three years at Duke University, and then moved to Claremont, California, as one of the seven founding faculty members of Harvey Mudd College. After spending 12 years there, he came to the University of Oregon on a one-year visiting professorship in 1970. One year extended into decades, and Wickes officially retired in 1993, although he continued to teach a course or two a year until 2015. 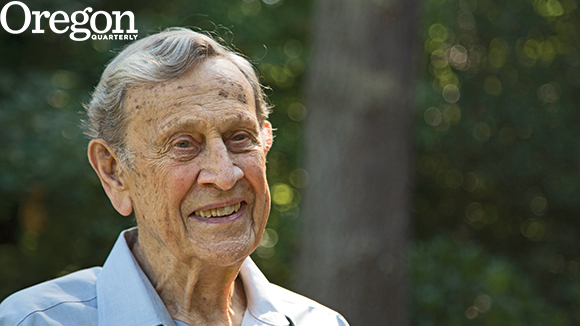 At age 94, Wickes still embraces his love of academia—he will be teaching an Insight Seminar on F. Scott Fitzgerald and Ernest Hemingway beginning in January. Wickes’ life has been shaped by the excitement, creativity, and purpose of his time in Vietnam. 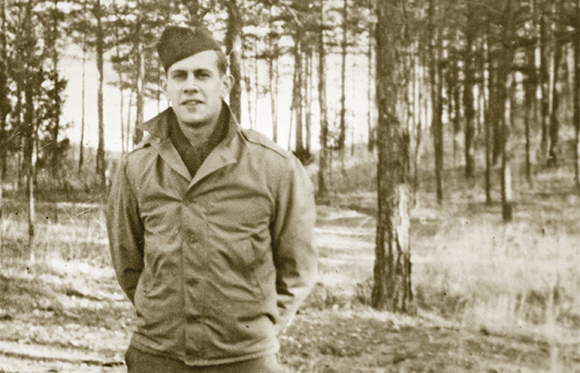 Like everyone who served, he saw horrific things, witnessed major moments in history, and experienced firsthand how extreme life as a soldier—and as a spy—could be. But it wasn’t the spy life that was for him. It was always teaching, not passing along intelligence, secrets, or ground movements, but knowledge of a different sort.